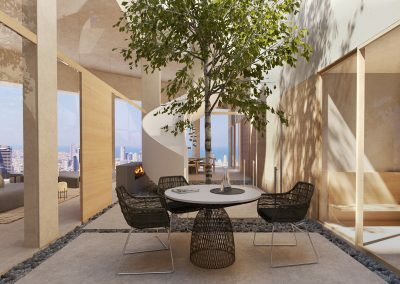 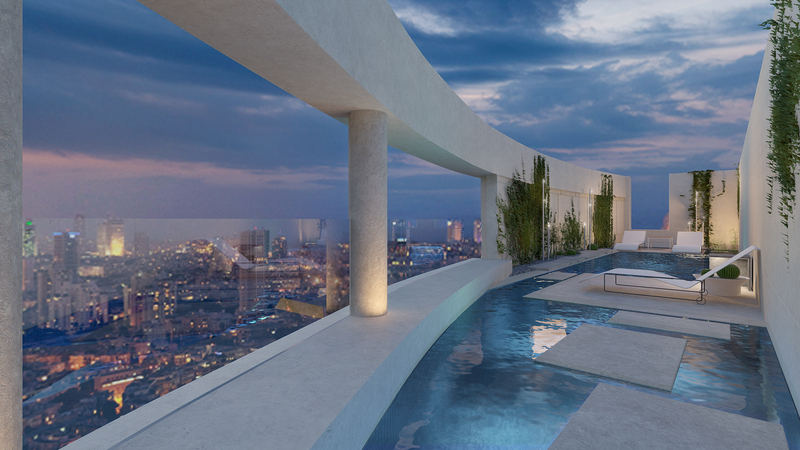 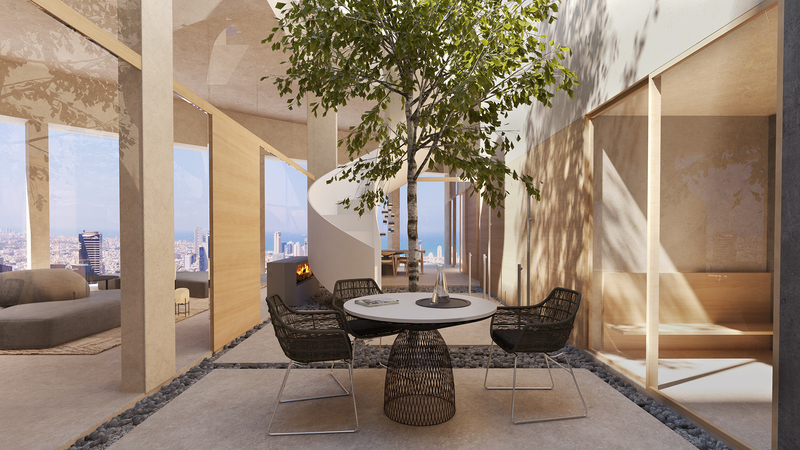 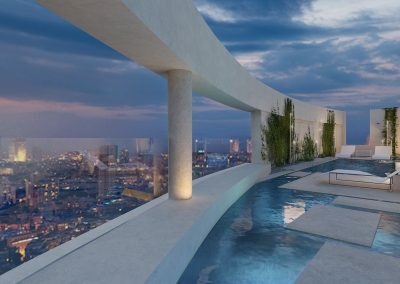 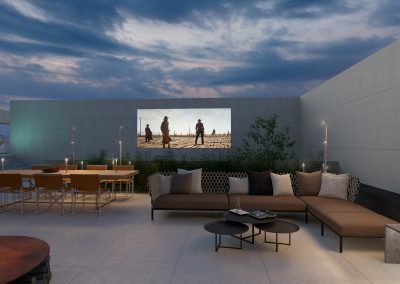 A spacious Penthouse in Tel Aviv with view to the sea. 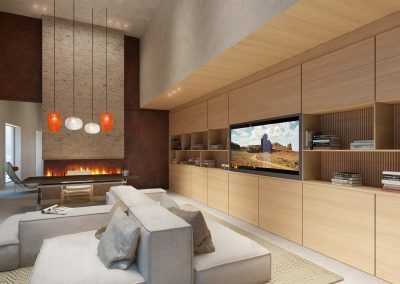 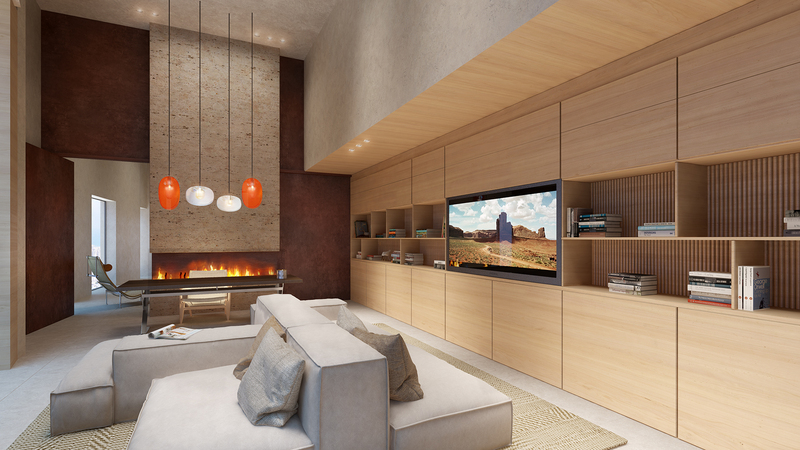 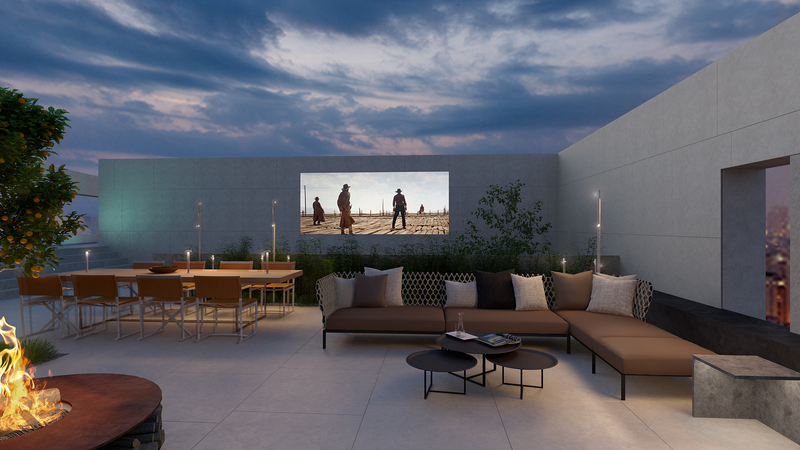 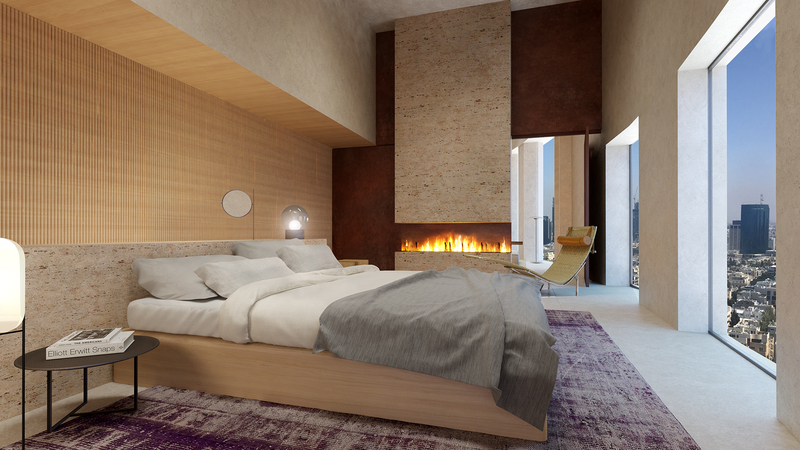 This Penthouse’s design was inspired in the peaceful and natural ambiance of Canyon Point USA. 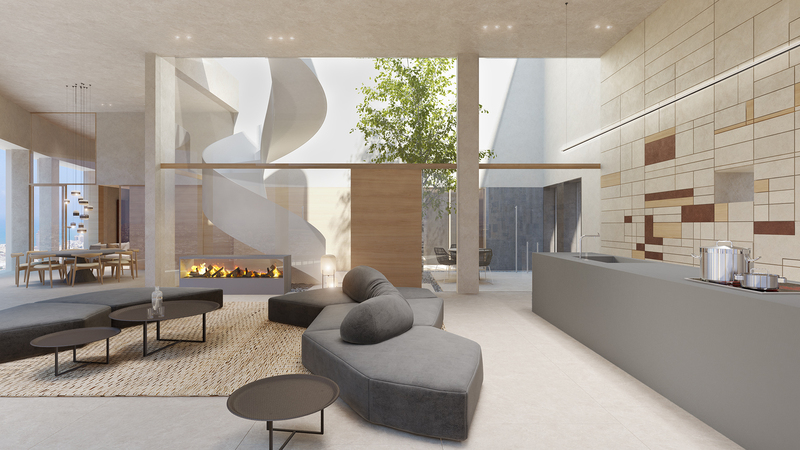 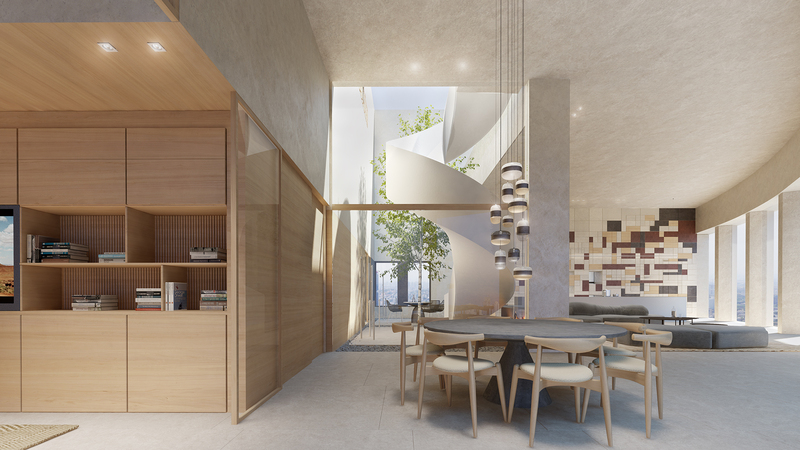 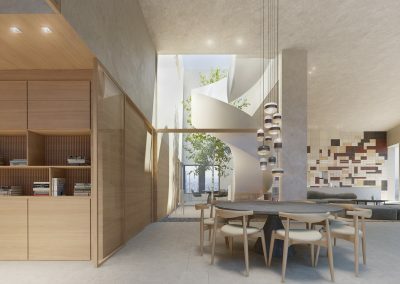 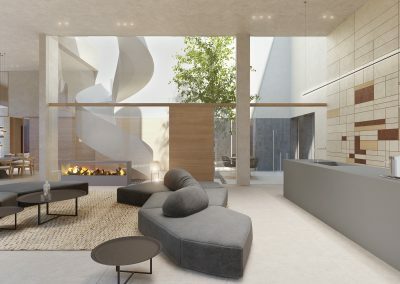 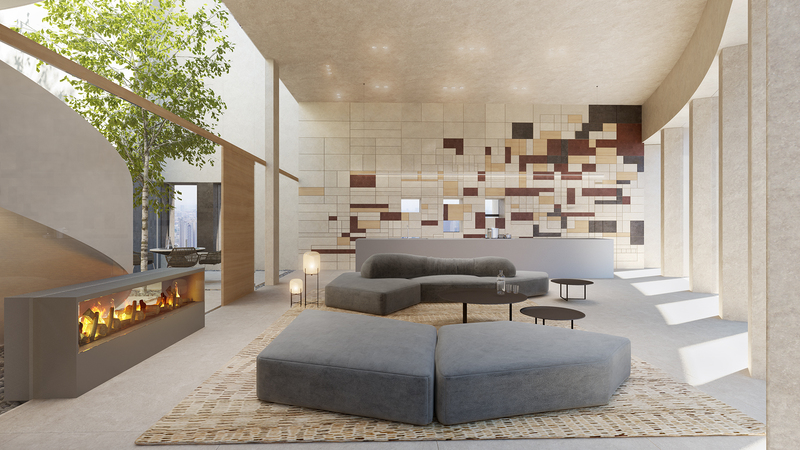 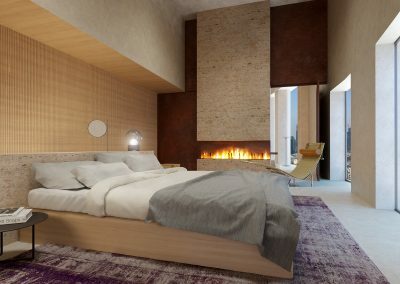 These renders offer views of the master bedroom, studio, living room, kitchen and common areas such as the roof garden and pool.